It’s that time of year again when homes fill up with the smell of pumpkin spice and everyone looks forward to Thanksgiving dinner. Anyone that has hosted a Thanksgiving dinner knows the time and effort it takes to cook and prepare a turkey. 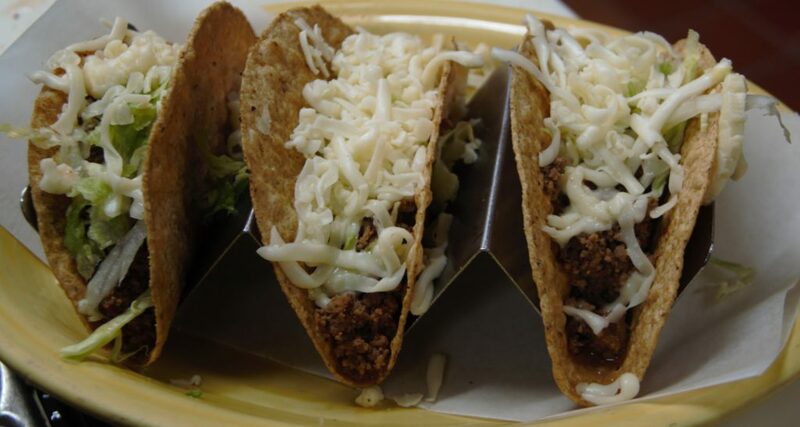 Why bother with all that hassle when you can give everyone what they really want…tacos. Turkeys are a pain. They start out frozen and take about a decade to fully thaw. You have to pull out giblets and no one really knows what those are. Baste it, and then stick it in the oven for another 73 days, making sure to occasionally baste it again to keep it from drying out. Once it’s done, the master chef ninja has to cut it up so everyone gets what they want. Tacos are much easier. Brown meat or grill chicken, add spices and serve. You’re done in half an hour and everyone gets tacos. Have You Ever Heard of a Turkey Bar? No. Mashed potatoes and gravy with some stuffing and mint jelly are your standards for turkey. What is mint jelly anyway? Where’s the variety? You might get some green bean casserole mixed in, but only is Aunt Gladys feels crazy this year. People have to pass around plates and someone ends up dumping gravy on your cloth tablecloth. It’s a mess. A taco bar is like a buffet of pure magic. They get their choice of tortilla and meats, chicken or beef. You have all the fixings like salsa, sour cream, various cheeses, veggies and more. A plate of rice and beans and Thanksgiving dinner is complete. Turkey is an amazing food, but it’s a taste that doesn’t agree with everyone. It’s difficult to properly cook, so one misstep could lead to dry meat. For the discerning pallet, turkey can be a turn off, and they’re left with a plate full of stuffing and mint jelly. MINT JELLY! Tacos are the great equalizer. They have an amazing taste that pleases the pallet and with so much topping variety, you can practically tailor the taste to your desires. One things for sure, after reading this, tacos are on your mind. So, put Thanksgiving to the back of your mind and stop by for some of our delicious tacos.